No earlier theory had envisioned that the responses would be so large! Scientists "poked" three crystals with pulses of light. Unexpectedly, the crystals exhibited the largest nonlinear optical response of any known crystal. The response was a huge amount of different colored light with twice the frequency of the pulse. These crystals are members of a new class of materials known as Weyl semimetals. 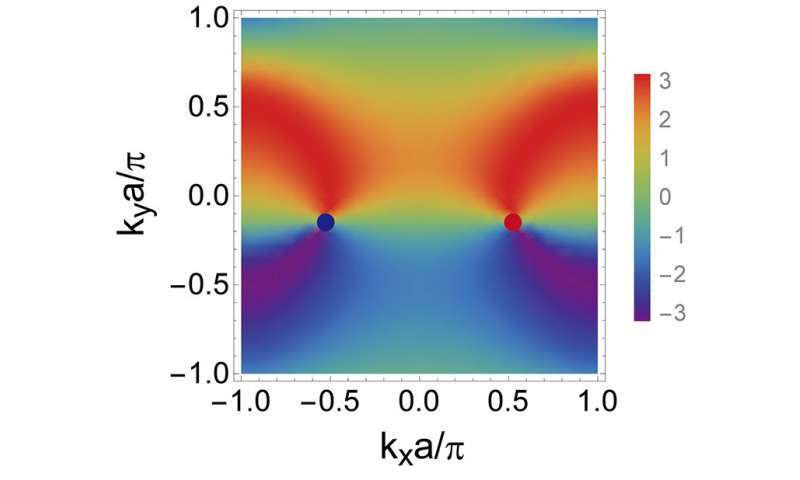 This work challenges our thinking on optical responses in Weyl semimetals. We expected light pulses to produce different colored light with twice the frequency but not such a huge response. The origin of this gigantic response is unknown! This study is already stimulating the development of fundamentally new theories about these responses. These materials are promising for package-penetrating sensors, night vision goggles, and other devices. lthough it was clear from symmetry considerations that there would be a non-linear response in these systems, there was no theoretical prediction suggesting the large magnitude of response observed. By comparison with other well-known nonlinear crystals, the non-linear optical response in these systems is larger by factors of 10 to 100. Given the unexpected response, scientists anticipate these findings will stimulate the development of advanced ab initio methods to calculate nonlinear optical response functions in these materials. Also, Weyl semimetals are expected to have a wide range of optoelectronic applications as materials to be used for the development of terahertz generators and far-infrared radiation detectors.